Have you been told you need R-22 for your air conditioning unit but are shocked at the high prices of R-22? Are you wondering what should cost and what the local Raleigh prices are? The answer is it varies. First, what is important to understand is that R-22 prices have gone up constantly over the past few years and many times just in the past year. These have not been minor price changes but large, sudden spikes in the R-22 prices. The reason for the price of the R-22 going up is based on the EPA years ago ordering the phasing out of R-22 as part of their efforts to protect the ozone. 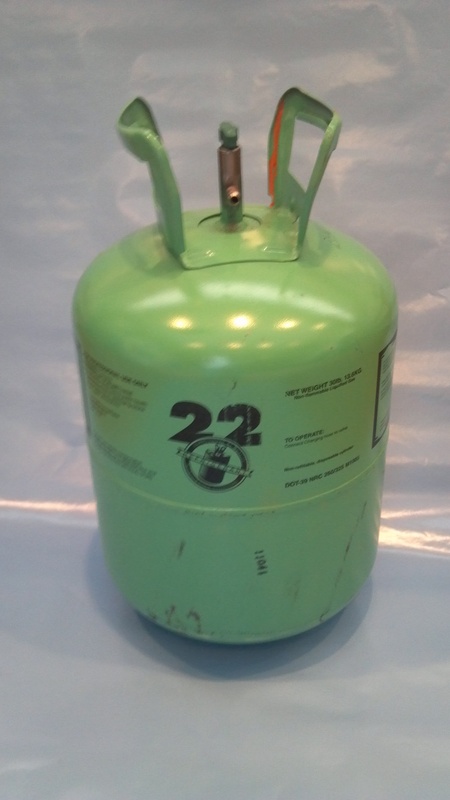 In 2010, all new units came out using a new type of refrigerant and production of the old R-22 was reduced about 75 percent. Supplies are restricted more each year until 2020 when all manufacturing and importing of new R-22 will be eliminated. Each year the supply is reduced more than the last year and suppliers are on rations. So this is why if you needed refrigerant 3 years ago or even a year ago you got sticker shock when you realized that the price went up by 3 or 4 times what you paid a few years ago. What is the most important thing to know if you are shopping for the best price? YOU HAVE A LEAK! – If you need refrigerant, you have a leak! This is not normal. Refrigerant gas is not like the gas in your car – allowing you to drive it normally until the gas runs out. 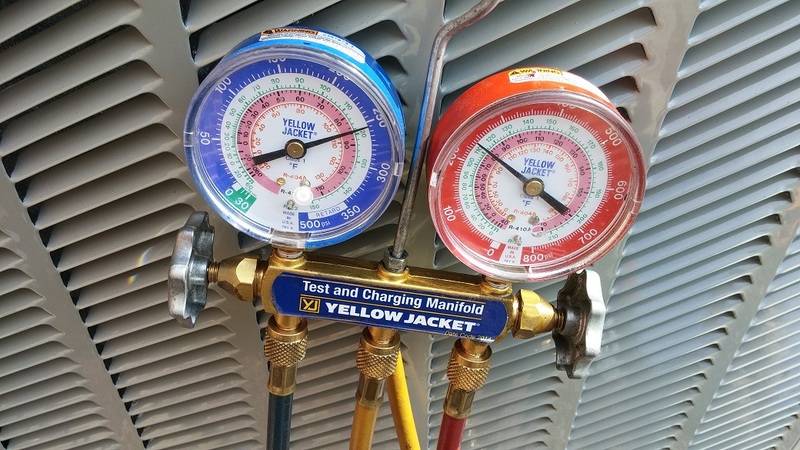 Refrigerant needs to be full to run your AC properly. If it is not full, you are not getting the proper cooling or efficiency. With the high price of R-22 and the dangers of allowing refrigerant to go into the environment – living with a known leak is foolish and like lighting your money on fire. You may have gotten a few years the last time you filled it up, but more often than not, suddenly you may find your unit leak the refrigerant faster – so you may put in $500.00 worth of R-22 – only to find it leak out in 2 weeks. Price per pound. Refrigerant is sold by the pound. Ask them what the price per pound is and what if it is only ½ pound? Do they charge any other fees? Many companies will tell you a low pound fee but do not tell you that they have a service charge and sometimes other fees. These fees are not necessarily wrong, but you will need to factor in all the charges to really compare apples to apples. You may call around and someone says they charge 100.00/lb but do not tell that they charge $200.00 to come out and put it in, whereas another company may tell you $175.00 a pound but there are no other charges. Watch them carefully and make sure you choose a reputable company. R-22 is the type of thing where unethical companies can gouge you by telling you they put in more than they actually did. The only protection you have against this is doing research on the company and making sure they are honest and ethical. Seal leak. This involves adding a sealant to the refrigerant that forms an epoxy seal at the leak site and does not harm the equipment. The best application is for straight air conditioners. Heat pumps typically do not work as well. This is a short term fix and should be considered so that you can get your financing together to either replace the coil or purchase a new system. The sealant may last anywhere fro a few months to a few years. Depending on how bad the leak(s) are. New Coil – If the leak is too large, many times you will need a change out of parts like the coil which could cost you around $2000.00 – $4000.00. New Air Conditioning Unit – If your unit is in bad shape and a change-out would not serve you well, the next option would be to purchase new ac unit. If your unit is under 5 years old – you want to replace the coil because the unit, most likely, is still under warranty. It is best to get a new part in there while the manufacturer covers the part. Labor and refrigerant are usually extra. If your unit is older than 5 years old and under 13 years old the best option again is to fix the leak. In this time period the parts may not be under warranty. Extended warranties require special registration. Check with your manufacturer. Your manufacturer uses the serial number to identify the warranty period for your individual unit. If your unit is older than 13 years old – it is time to start thinking about purchasing a new air conditioning unit. If you are having a issue or known leak and live in the Raleigh, Durham, Chapel Hill, Cary, Apex, Holly Springs, Fuquay Varina, Morrisville, Sanford, Garner, Clayton, Willow Spring, Pittsboro, Wendell, or Wake Forest Areas. Let us come out for an estimate on what you’re best options are for your leak.